Taking a smart approach to fitness, health and weight loss means different things to different people. Either way there are key factors to keep in mind. And although life circumstances can at times prevent even the most dedicated fitness enthusiasts, whatever you do. . . don't give up!! Physician clearance: Not on your bucket list? I hear you. People tend to either brush this off or get intimidated by it. Finding a place of balance is wise. If you or your physician have any concern at all, it would behoove all involved to take it seriously enough to acknowledge any issue and address it. Often times the worst case scenario is a lower level of intensity to begin with. Then you'll eventually work up to more intense fun. :) Sometimes the staff of a gym where you work out should simply be made aware of inhaler use, medications, or pregnancy, etc..
Fuel: If I had a few dollars for every person I've seen work out without a fueled body. . . well, you know. Don't put yourself or anyone else in a position of having to call 911 to replenish your electrolytes (salt) and glycogen (carbohydrates) stores. When you exercise, the perspiration (or glisten) depletes the body of electrolytes. That coupled with missing a meal an hour or so before your work out, prevents your body from producing the energy or strength it needs. You end up with a dazed look and before you know it you're sitting on the nearest surface with your head between your knees. Get enough calories: Although I don't necessarily suggest that people count their calories, for an idea of how many calories are good for your body, multiply your body weight in Kilograms by 35 and subtract 500 - 600 calories. It can be tempting for people desiring weight loss to decrease their caloric intake to 1000 and lower. Pay attention here. . . this causes the body to hold on to the fat stores as a means of protection from insufficient fuel. Your body was designed to recognize a lack of calories consumed. In the process of protecting your bodies fat stores, it turns to other tissue for fuel, including muscle tissue. Healthy foods: Fruits, vegetables, whole grains, dairy products, fish, chicken, legumes are safe ingredients to fuel your body. When choosing produce remember that the brighter the color the richer the nutrients. Whole foods are a great choice for the mere reason that you know what you're eating. I use a Vita Mix daily and I really love it! Among my favorite features: It holds a variety of fruits, vegetables and dry goods. You can make sauces, salsas, juices, smoothies ice-cream, breads, spreads and treats. Yes! I did include 'treats'! 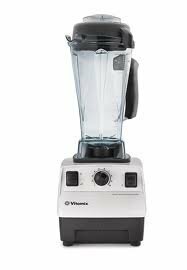 With the Vita Mix I don't need a juicer because it takes the produce as a whole. I also like the easy clean up. Frequency of exercise: I'll begin by saying that something IS better than nothing. However, if you have a choice in the matter, 3 non consecutive days is suggested for maintenance of your current condition. Four days would likely aid in weight loss, 5 and 6 days more so. I use the term 'likely' for various reasons including the possibility of too few consumed calories and any additional health issues that might come into play. Duration: The American College of Sports Medicine (ACSM) recommends greater than 250 minutes of exercise per week of moderate-intensity to encourage weight loss. If that sounds challenging to you, you might consider some ways to approach it. Find at least one accountability partner. Participate in activities that you actually enjoy! Some people sign up for races or some sort of competition. There is nothing like pressure to get us going sometimes! Taking one day at a time with a smart approach is a key to success. A.R.T(activation release technique) can be something else which can help too. It will help with the inflammation which impede the muscle recovery and muscle building.So if you want to train regularly (as you said more than three to four times) that could help a lot. Moreover, how many times you will train per week it depends on the volume and the intensity of each session, don't think that more is always good.Dont try to train 5-6 times per week with high intensity and volume,otherwise you will end up overtrained which will keep you back. Keep the right balance! Nice approach ! Great points Makeitsimple! Thanks for sharing.